We’ve compiled our best advice for prospective renters in France, simplifying what can sometimes be a complicated process! In addition to the first month’s rent, many landlords request two months’ rent as a security deposit. Students must be prepared with sufficient funds to prove they can support a rent without a job. French law requires that all tenants have housing insurance. Your landlord will require it too. You will need ‘multi-risque’, a comprehensive policy that covers water damage, fire or explosion, and theft. This type of insurance can be obtained from private home insurance companies and from many banks. If your apartment is ever robbed, you must file a police report. Any damages to your apartment must be reported immediately to your insurance company, both by phone and by registered letter. French law requires that anyone renting property in France pay an annual housing tax (‘taxe d’habitation’), which is based on the location and the size of the apartment. The person who occupies the accommodation on the 1st of January must pay this annual tax. There is a tax on television equipment called ‘Redevance Audio-Visuel‘. If you purchase a television in France, the store is required by law to inform the authorities of the purchase, and you will receive a bill for the tax. Sadly, pets may present difficulties when obtaining housing. Furnished apartments tend to get higher in price and are classified as ‘furnished’ when they contain the basic necessary furniture and equipment to allow immediate occupation. Linens may or may not be included. Apartment prices range according to the size of the living space, the type of building and location, and bathroom and kitchen facilities. When leaving a message, say why you are calling and leave your name and mobile phone number. Be polite, and speak slowly and clearly. Try to speak in French, but if you find it too difficult, switch over to simple English. Most French people understand basic English, but they will be more receptive if you make an effort to speak some French. Don’t forget: your map, mobile phone or phone card, and the landlord’s name and phone number. It is also good to bring your passport (and a photocopy), a copy of your financial guarantee letter (the same one you used to apply for your residence permit) and your cheque book. Be on time. If you are running late, call the landlord to let him / her know. It is a good idea to give yourself extra time before the appointment to check out what could become your new neighbourhood. Most landlords place a considerable amount of importance on your attitude, and all of this will increase your chances of getting bumped to the top of the list of potential tenants. If you decide not to go to a scheduled appointment, be polite and call the landlord in advance to cancel. If you like the apartment you are visiting and feel confident that it has all the amenities you need, don’t hesitate to take it. 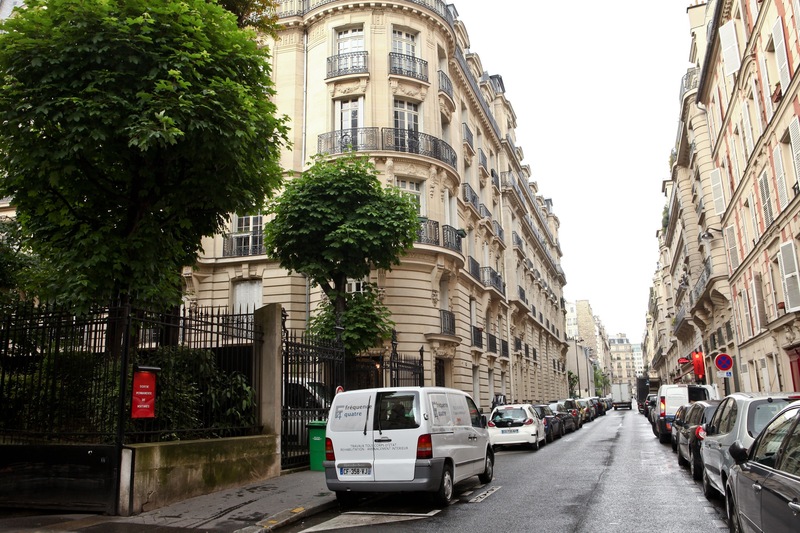 Apartments in Paris go quickly, so be ready!